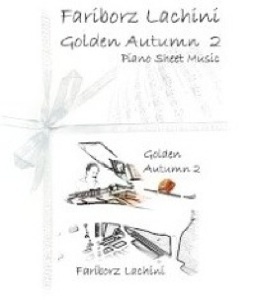 Golden Autumn 3 is the companion songbook to Fariborz Lachini’s CD by the same name. Transcribed and engraved by David Shenton of New York Music Publishing, USA, the sheet music is note-for-note from the recording. Recognized as one of the most innovative composing talents in the Middle East, Lachini has scored more than a hundred films and had much success in the pop music field before the Islamic Revolution in Iran when he was still in his 20’s. 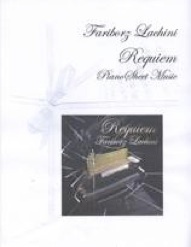 Most of Lachini’s music is on the melancholy side, but the emotional impact of the music makes it very satisfying to play. Some of the pieces are easier than others, but most are fairly slow, and should be accessible to upper-intermediate and early-advanced players. The format of this book is smaller than normal, but the music is very readable, and its “petite” size is not problematic. 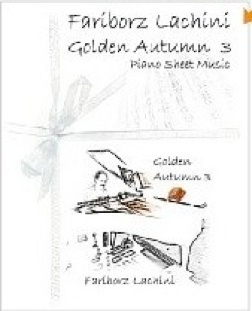 It is available from Lachini.com and Amazon.com. Recommended!